Dubai International Bowling Center in Deira Dubai was inaugurated in 2001 for the citizens and visitors of Dubai. With the presence of modern technologies, 36 synthetic Brunswick lanes are built to make the service convenient. Soon after its inauguration, the center accomplished in placing itself in an eminent position and started arranging tournaments for the visitors. The outclass management at the Dubai International Bowling Centre Deira Dubai has been successful in attracting bowling enthusiasts from all over Dubai. Besides bowling, direct connection to the Dubai Satellite Channel you can enjoy all possible sporting events. Do not look for any other option and make Dubai International Bowling Centre Deira Dubai as your ultimate choice. - Leagues and tournament events are held at the venue to make this place a fun yet exciting place. - Various bowling parties are also organized for the visitors by the management. - A nice comfortable seating arrangement is also present within the Bowling Center. 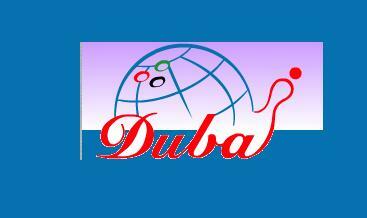 The Dubai International Bowling Centre Deira Dubai remains open all seven days a week from 9:00 am till 1:00 am. From Dubai International Bowling Centre Deira Dubai, the nearest bus stop Mamzar, Century Mallmore is 100 meters away. The distance can be covered through a minute walk. From Rashidiya Metro Station A3 route number 48 only makes a stop here. 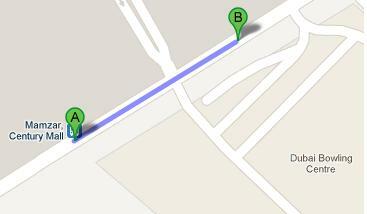 From the stop, head in the northeast direction onto 44th St, keep on walking until you reach at the venue. For a detail view of the map Click Here!